Many people (myself included) love the idea of creating from the ground up rather than purchasing an already built home. This can be an exciting, stressful, marriage-testing, amazing, and extremely rewarding process. So what is a budget when it comes to construction? What’s included in the estimate you have just received? More importantly, what’s excluded? These are seemingly obvious questions, but a standard builder quote doesn’t exist. If you get 3 quotes, you are likely to see 3 very different totals because different builders include/exclude different items. Be honest with your (trusted) builder and architect about what your financial reality is. To get to the end of your build and find out that landscaping wasn’t in your quote could be devastating. Work through the quote line item by line item and ask the question: what’s missing Once you identify each item, you can compare quotes apples to apples. It is also a good idea to factor in items that won’t be in any quote such as window coverings and new furniture that may be required for your personal financial planning. 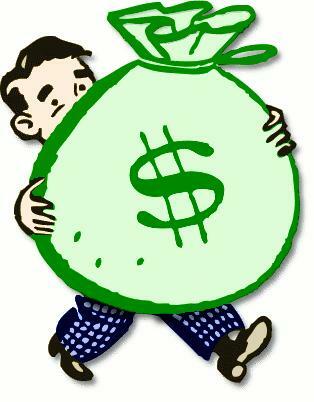 Just like buying any home, new or old, you are likely to visit a broker or bank and talk financial turkey. Find out not only what your maximum allowable mortgage is, but also what payment is comfortable. Keep in mind that the structure and criteria of construction lending can be more complicated than conventional lending. The bank typically releases money at pre-defined stages of construction and those bank draws don’t always jive with your builder’s payment schedule. Unless you are among the lucky few that don’t need bank money, I recommend strongly putting less money down on the land purchase thereby keeping cash in hand for the build. You’ll likely need it. When setting a budget, talk to your Realtor. He or she will make sure you aren’t planning on over spending for your neighbourhood. Take this step early so that you know what you should be sticking to! -Meaning different builders do different things well. For the unlimited budget, speed is not a factor (nor is price sometimes). For the budget conscious, price and speed are usually of utmost importance. So when choosing your builder, ask about build-out times, check reputations for quality (of the builder and its most used trades) and try to strike a balance to get as close to achieving all 3 as possible. Budgeting and choosing the right contractor go hand in hand. Your relationship between you and your builder is important. It's one that will require trust and open communication. You will go through good times and bad together and will likely have to have an awkward conversation or two....about money. As I said earlier, building your dream home can be a lot of fun and leave you with a space that fits you and your family perfectly. It comes with some extra work and research, but (I think) the rewards are worth it! 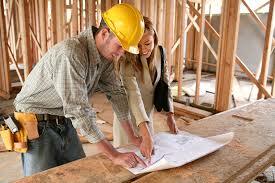 If you need assistance navigating the process of having your home built, contact me anytime.